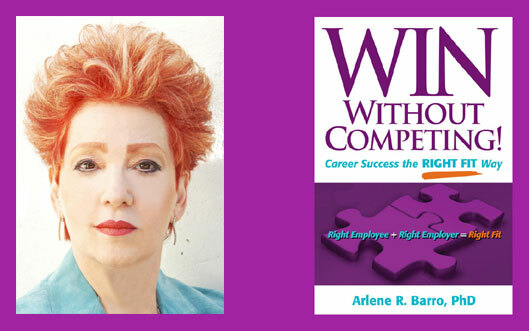 Personal coach and creator of the Right Fit Method, Dr. Arlene Barro, is your expert advisor who shares her incite, advice and wisdom to help you achieve professional and personal success. Finding happiness for many is a puzzlement. In fact, at Harvard, students take a course titled “Happiness 101” which is designed to teach them how to build and maintain their happiness. From my perspective the way to achieve happiness is simple: determine what’s important to you. Once you do that, begin to search for Right Fits in every aspect of your life. Read these 10 questions which pose different scenarios. Then, call me at 310-443-4277 and tell me which scenario(s) describe(s) you. If no scenario matches you, tell me your story. 5. Did you have a Right Fit job which turned into “no job” causing financial hardship or a small business income which has significantly declined? We create New Year’s resolutions, planning to change our behavior and reach our goals. Sometimes we succeed, other times not. This year I suggest adopting the standard of the Right Fit in which you create blueprints of Right Fits. You will be amazed at how your success rate will improve! To put you in the Right Fit mindset, I suggest clicking here and reading Helen Hurst’s story to learn how I coached her to turn her marriage around. She fixed the fit. Enjoy Dr. Helen Hurst's great story. FILL THIS YEAR WITH RIGHT FITS!